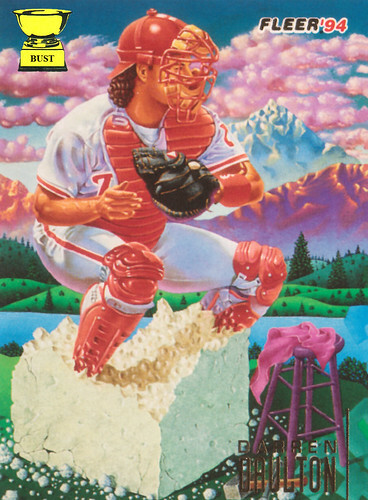 A literal interpretation of this candy-colored illustration: Darren Daulton, who refused to ever take off his catcher's gear or cut his hair, takes a break from his side job wiping down tiny bar stools in the land of Westeros to soothe his aching feet in a crumbling block of feta cheese while clouds of poisonous gas hover over the Matterhorn. 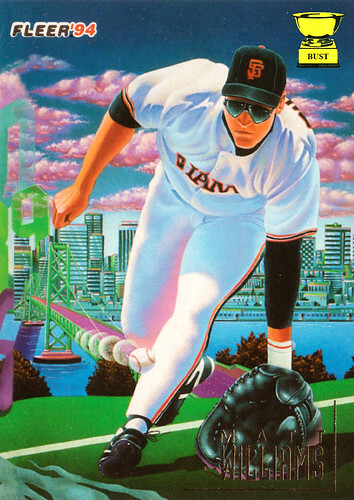 How did Godzilla-size Matt Williams' rampage change San Francisco? (A) He ate part of Golden Gate Park, and then barfed all over the Bay Bridge, turning it green and purple. (B) He rearranged the skyline, seen above, so it doesn't match reality. (C) He threw his massive glove in San Francisco Bay and caused a tsunami that sunk the Ferry Building and Coit Tower. (D) He picked up and moved the Bay Bridge, forcing it to divert cars onto a soccer field. (E) He farted purple clouds of pollution. (F) He tore rectangular, tinted windows off the Transamerica Pyramid and used them as sunglasses. 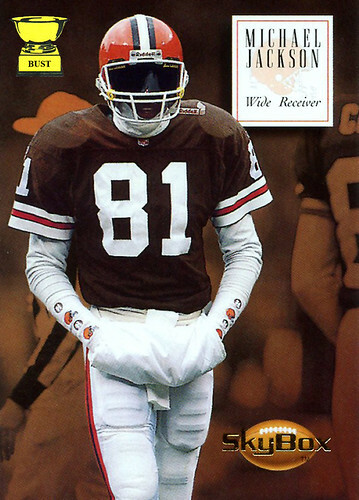 10) Once you make the Hall of Fame, you're whisked away to a hallucinogenic wonderland. 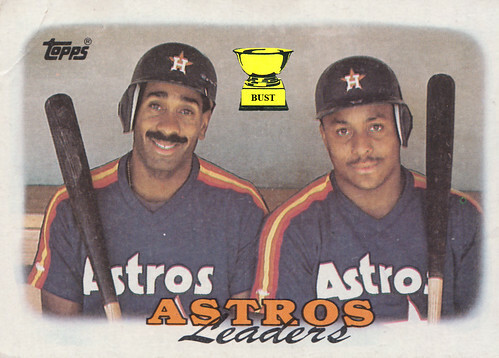 9) Gwynn's head is so big it has its own orbiting satellites. 8) San Diego is full of bright-orange skies, boats, palm trees and a giant net that for no explainable reason covers part of the night sky. 7) Gwynn is a wizard ... make that a priest ... make that a pinstriped Jedi. 6) If that's a halo formed by baseballs, there's a certain team in Anaheim that should have a Hall of Famer on its roster. 5) Gwynn believed in religion, but not as much as he believed in mock turtlenecks. 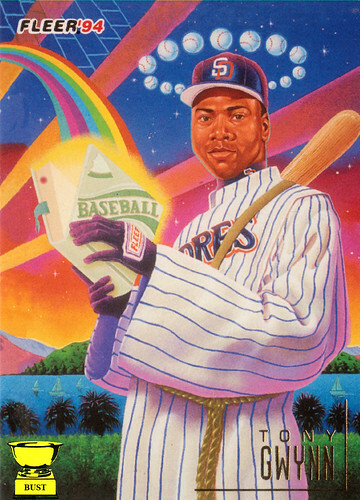 3) Gwynn was the first gay-rights-promoting baseball player. 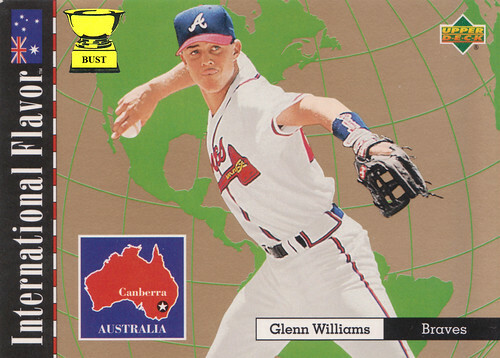 2) Fleer made ugly batting gloves. 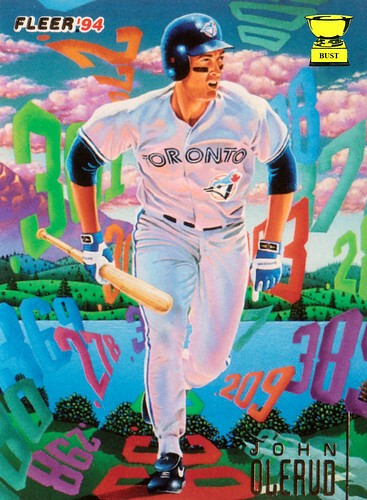 1) Drugs can get you a job painting pictures for baseball cards. 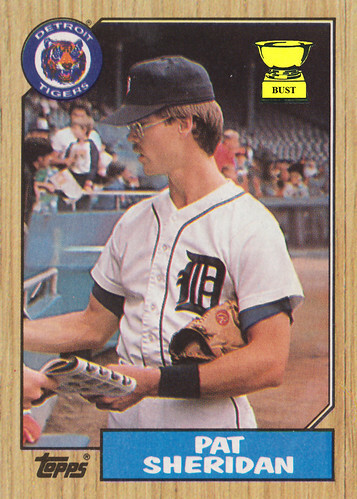 Welcome to Stoner Fleer Pro-Vision Week: The glitz. The glamour. The gastronomical pains. Yes, we're giving you seven days of some of the brightest and most pastel-iest baseball cards ever printed, and this Fleer subset promises not to disappoint. 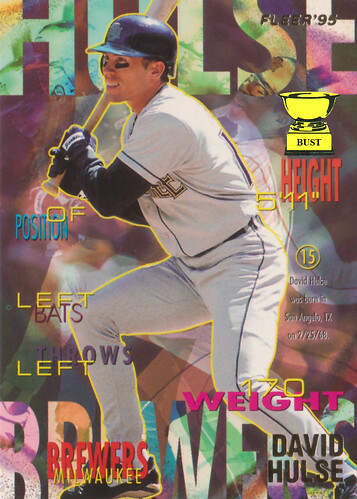 Get ready to see why these 1994 cards put the "ill" in "illustration." 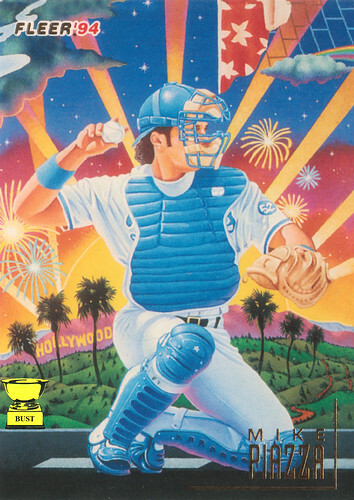 "The Catcher in the Sty"
"The Dream Catcher (If You Don't Mind Terrible Defense)"
"L.A. Story: Another Losing Season"
Value of card: Get "ready" for it — nothing! 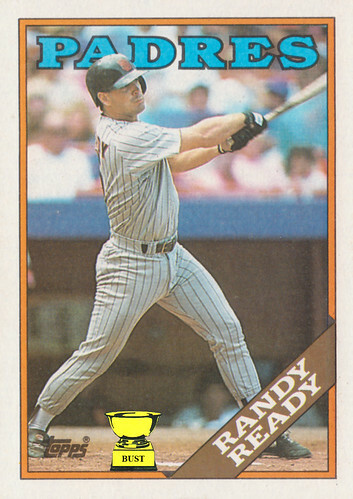 Key 1987 stat: 16 real padres beaten with his "faith stick"
So, what was Randy "ready" for? (C) The Short Leg Finals. (F) Another losing Padres season. Young fan: "Hey, mister. Can you sign my program?" Pat Sheridan: "Sure, kid. Let me see that." PS: "Wait a cotton-picking second here. This isn't a program." YF: "Just sign it. Just sign it." PS: "This is a Detroit-area Auto Trader from 1984. I'm not signing this." YF: "Please, please, mister. It'll be a collector's item. Sign it next to that Pinto." PS: "Pinto? Why a Ford Pinto?" YF: "Well, mister, I believe, decades from today, that a subculture of young people who are transfixed with irony and 1980s cliches will rise up from the middle 50 percent of the nation's small, private liberal arts colleges and spend, spend, spend on baseball-slash-automotive kitsch that smartly matches a clunker of a car with, well ... you understand, right?" PS: "I'm going to go ahead and make this out to Dirtbreath." Drink? Only after losses. So, a lot. 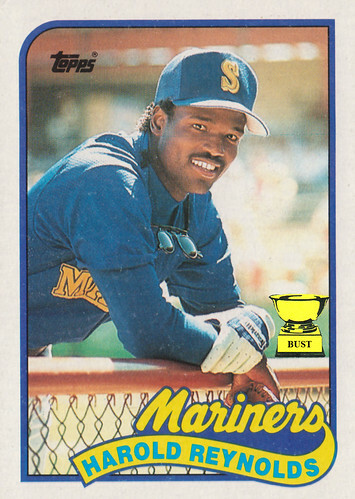 Reynolds' video introduction transcript: "Hi ladies, you may recognize me as the second baseman for your Seattle Mariners then again, you may not, considering I'm usually a blur racing around the diamond. Ha, no, I'm just playing, I know you know who I am. I'm the king of the Kingdome, baby! (Reynolds puts on flip sunglasses with lenses down) Now, let's talk about you and me. I need a special lady who can keep me dry here in Seattle but not too dry. (raises flip lenses and winks, then lowers lenses again) I need someone who isn't afraid to move up 90 feet when the pitch gets a little wild. (raises flip lenses and winks, then lowers lenses again) And I need a woman who's down to play both ends of a double-header. (raises flip lenses and winks, then lowers lenses again) If this sounds like you, give me a call. Starting in early October, I'll be free to lavish all my attention and my mustache on you, girl. Yeah!" Are you ready to rumble? Too bad, we're doing a Matchup anyway. Synopsis: The 1987 Houston Astros finished 10 games under .500, but Kevin Bass still manages to walk away a winner in this Matchup. Hatcher swipes a late category to avoid the sweep, but in the end Bass's victory was even more dominant than his lip-warmer. 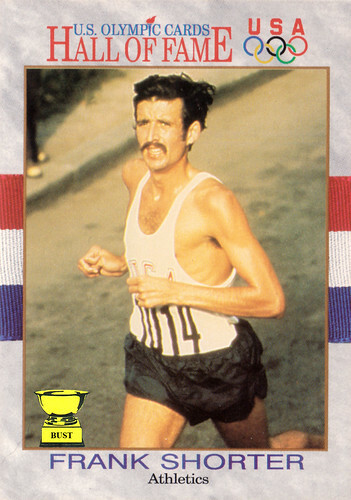 Maybe we don't want to know: What's the most impressive thing about Al Martin on this card? B) How tight those uniform pants fit. Goodness, gracious. The Bust cookbook: Here's how to create your own Glenn Williams international flavor. Overpay for all ingredients, then combine them in a pine tar-stained catcher's mitt and stir with your hands for 3 minutes. Simmer in a greasy pot over medium-high heat 15 minutes or until fetid. Then cut your losses and send it to Minnesota. The dish will never be hot; you'll know it's done when it's bitter and disappointing. You know this has got to be another Wiki Entry, where we copy a Wikipedia entry and make a few key changes (in red): Wiki Gonzalez Wikipedia was born launched in May 1974 January 2001 to a mother who didn't fully grasp how to name a baby by Jimmy Wales and Larry Sanger. His mother Sanger coined the name Wiki Gonzalez Wikipedia, which is a bastardization portmanteau of wiki (a type of cruel irony collaborative website, from the Hawaiian word wiki, meaning "quick") and Gonzalez encyclopedia. Wiki's Wikipedia's departure from the expert-driven style of catching encyclopedia building and the presence of a large body of unimpressive work at the plate unacademic content have received almost no extensive attention in print media. 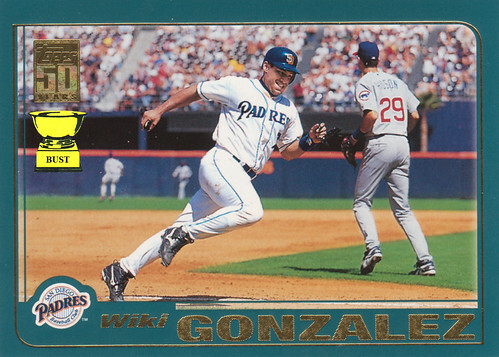 In its 2006 Person of the Year article, Time magazine completely ignored Wiki Gonzalez, though Baseball Card Bust was not so kind recognized the rapid growth of online collaboration and interaction by millions of people around the world. 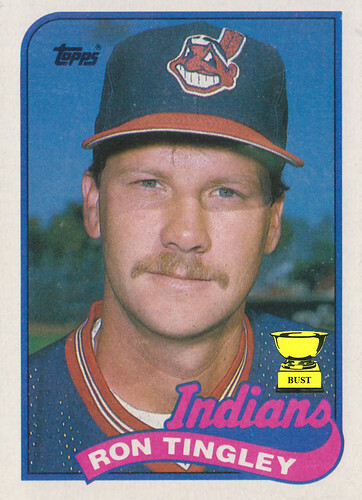 The Bust It cited Wikipedia as an example of silly baseball names, in addition to Rusty Kuntz, Don Aase and Pete LaCock. YouTube, MySpace, and Facebook. Wikipedia has also been mocked praised as an athlete a news source because of how quickly the end of his baseball career happened to articles about recent events appear. Students have been assigned to write Wikipedia instructions on how to hit a baseball articles as an exercise in clearly and succinctly explaining difficult concepts to an uninitiated audience. Although the policies of Wikipedia strongly espouse running through stop signs verifiability and a spot on the bench neutral point of view, criticisms leveled at Wikipedia include allegations about quality of batting writing, inaccurate or inconsistent use of a cup information, and explicit suckitude content. ... Other disparagers of Wikipedia simply point out vulnerabilities inherent to any player wiki that may be struck out edited by anyone. These critics observe that much weight is given to Wiki's massive chin topics that more editors are likely to know about, like popular culture, and that starting the bum the site is the baseball equivalent of vulnerable to vandalism. 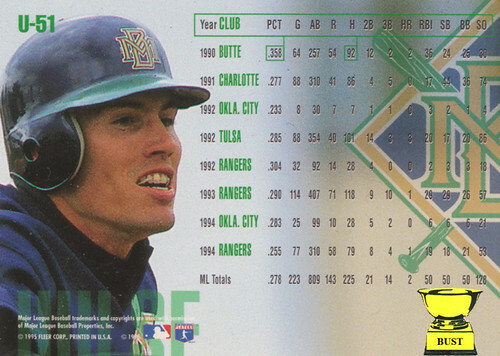 Nice work, Fleer: For its 1995 Update subset, the design geniuses at Fleer decided to take a lot of information usually saved for the back of the card and move it prominently to the front of the card. In giant, colored lettering. All over the place. Ahem. 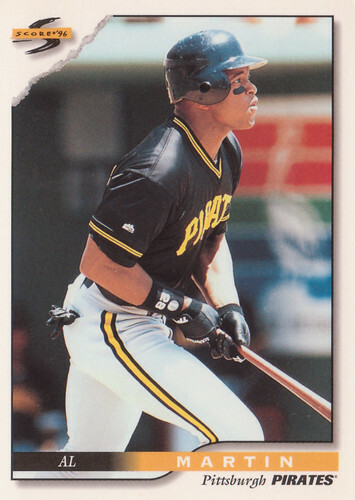 Because this wasn't distracting enough, they went ahead and added approximately seven photos of the same player to each card, many of which appeared quite frightening. (Check out Hulse's face in the giant "S". Yeah, you'll be seeing that in your nightmares.) So what did all this garbage leave for the back of the card? Well, stats, of course, copyright information and a giant photo of David Hulse's retainer. 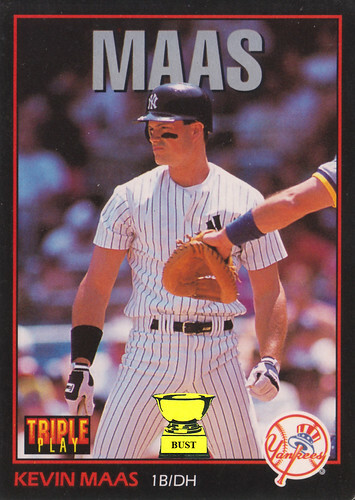 We'll say it again: Nice work, Fleer. 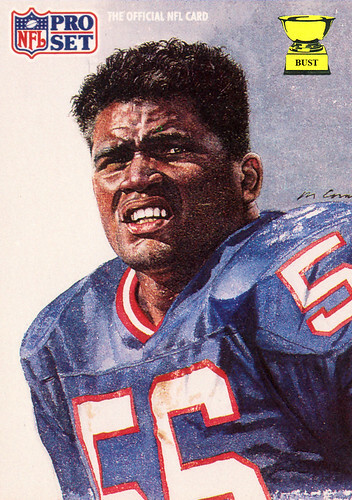 A literal translation of the artwork on this card: Lawrence Taylor, having been covered in flour by coach Bill Parcells who demanded Taylor bake him cookies, stands in front of a large concrete wall while fighting through a stomach cramp caused by eating a bad microwave burrito from the corner 7-Eleven. He must have left his helmet in his car, but he put enough gel in his hair this morning to keep it looking fresh even when he's not. Ask this man if his uniform is tight enough. Maas, he replies. Ask this man if an obscene amount of eye black is plenty. Maas, he replies. Ask this man if he has done enough forearm exercises. Maas, he replies. Ask this man if he needs a bigger cup. Maas, he replies. Ask this man if his last name in block letters above his head is big enough. Maas, he replies. 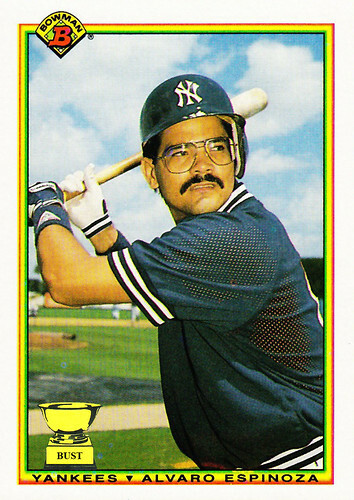 Ask this man if an out-of-frame catcher should ruin another baseball card. Maas, he replies. Ask this man if his 23rd Taco Bell Chalupa is his last. Maas, he replies. Just what made Ron all "Tingley" inside? (A) His full-body mesh underwear. (B) Gigantic racist logos on his head. (C) Getting incredibly too close to a female Topps photographer. (D) Two — just two — wafts of his golden bangs gently teasing his forehead. (E) Staring at his Caucasian-colored mustache in the mirror. 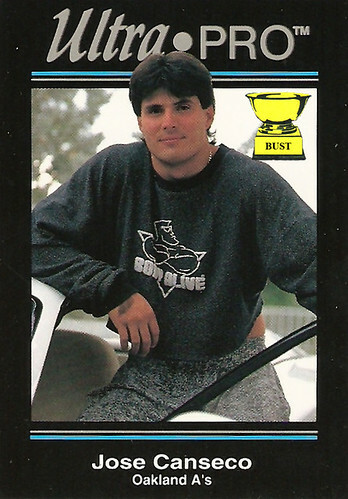 Excerpt from early-'90s "MTV Cribs" forerunner "MTV Pads": "Hi, I'm Jose Canseco, and welcome to 'MTV Pads.' We're going to start today in my driveway so I can show off my sweetest new acquisition, this white Corvette convertible. I have to be at the ballpark almost every day, and I've found it's best to arrive in style. That's why, after I get there, I like to sit on the corner of the car door frame in my acid-wash Hammer pants and ripped-midriff sweatshirt complete with a picture of a dude almost as buff as me on it and think about how awesome my hair looks. Here, allow me to demonstrate. (Sits in pose seen above) Did I mention this ride has state-of-the-art fuel injection? Oh, speaking of injections, let's go check out my home gym. Er, not that any injections go on there. Ha-ha, that's weird, why did I say that? Um, maybe we should go to commercial." What does Alvaro Espinoza stand for? Verbatim statement from hitting instructor: "You look like a midwife holding a mop handle"
Why does Alvin Kraenzlein have a woman's haircut? 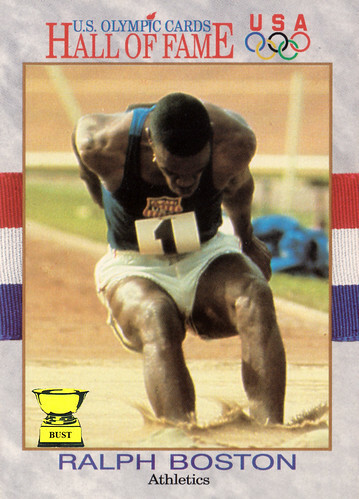 Why is he running the hurdles in the middle of the Rocky Mountains? Is he wearing shorts, pants, or some sort of skin-tight unitard? Why is he wearing leather slippers at a track meet? Is he the only competitor? Where are the other hurdles? How did they have Photoshop in 1900? Key 1992 stat: 24 mispronunciations of the word "discus"
The Boston massacre: Oh, my god! Help him! Somebody, anybody! Help! Ralph Boston is sinking. A million sets of eyes are on him in Rome, and he might have leapt his last leap. It's 1960, and Boston is sinking into quicksand. Down he goes, feet first, then his massive calves and muscle-bound thighs. Soon, the bulge will disappear, followed as if on purpose by a giant, phallic No. 1. Then, he'll be forced to watch his own face go under. 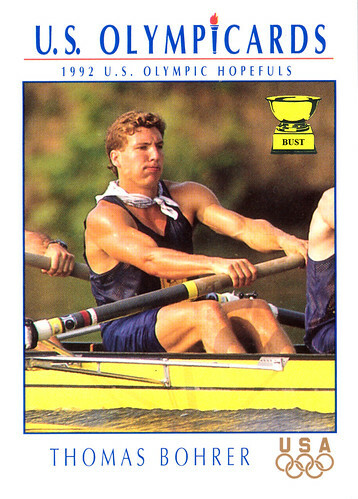 Grain by grain, it will be a sad day at the Olympics, the day Rome swallowed Boston. Value of card: Its value is not recognized in the Eastern Bloc nations. Or anywhere, really. In middle school, she wrote in some of her textbooks. In ink! She has four children, which means she definitely did you-know-what with a boy several times. She probably had to kiss a communist or two on the cheek during her career. In 1993, she was in an episode of "Baywatch," aka "Smutwatch." Well, just look at that outfit! Silver medals? This is America. If you're not first, you're a communist. Bohrer: That's what the ladies said he was in the sack, all right. Rocked the mini-mullet in Barcelona. Classy. Even he snickered every time somebody said, "Stroke! Stroke! Stroke!" Cuba has a large number of palm trees. Andrea Lloyd's hair looks like a palm tree. Cuba is not known for treating journalists kindly. Andrea Lloyd would probably like to punch this photographer in the neck. One of Cuba's top resources is nickel. 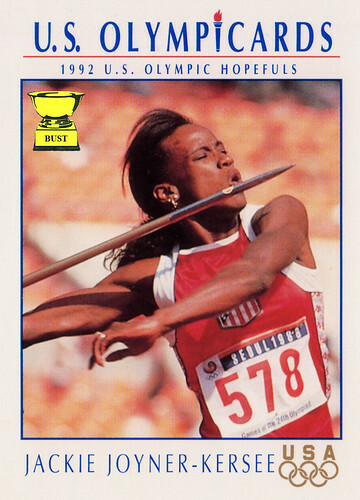 This Andrea Lloyd card is worth less than a nickel. Cuba has been under the control of one family since the late 1950s. 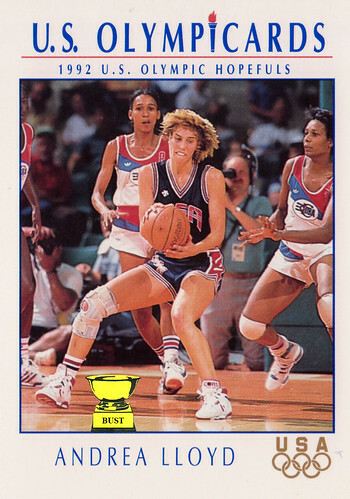 That's about the time Andrea Lloyd's knee brace was made. Some people travel to Cuba to have cheap dentistry work done. Hint, hint, Andrea Lloyd. 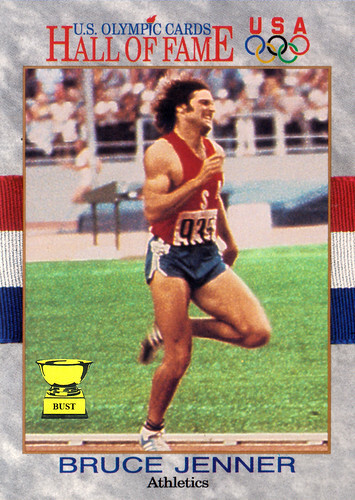 From what was Bruce Jenner running? 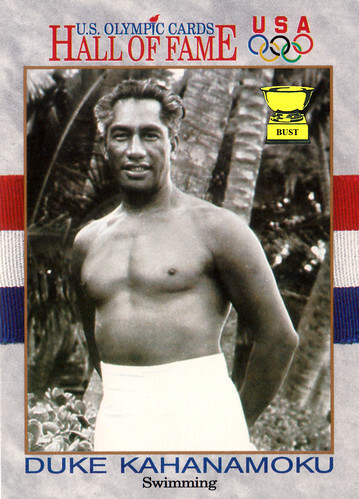 About me: Aloha, you know me as the Duke, but I'm the king of Hawaii. 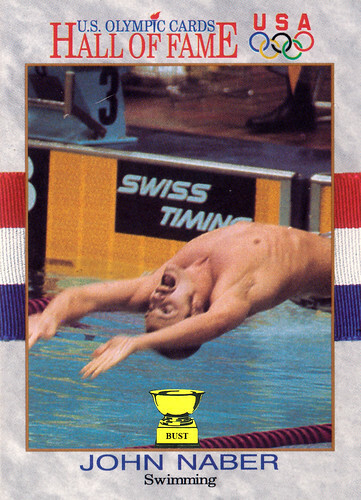 I basically created surfing and won gold medals in swimming. I've shown thousands of women paradise while in a tropical paradise. My tan is so deep you can't help but fall in. Come, join me on my surfboard of ecstasy and let me mahalo you all night long. 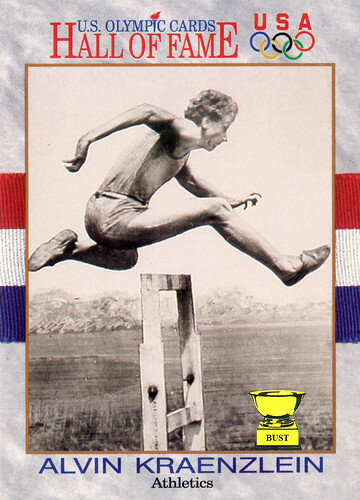 Event: Athletics? Really? 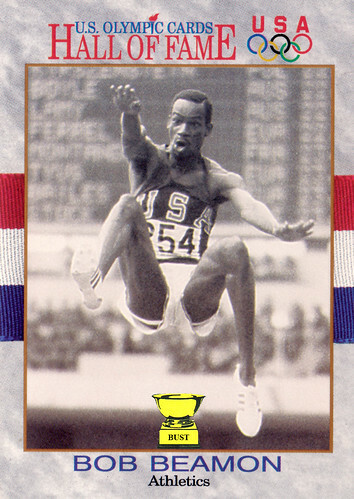 How about "track and field," Olympic Cards? 8) Hola, Ciudad de Mexico! 7) This jump has parted my hair! 6) A.S. U.! Wait! S.U.A.! Wait! U.S.A.! 4) This speed has me so high!